It can be difficult to watch a beloved horse grow older and slowly decline. If you are facing the tough decision of whether to retire your mature horse, there are a few options to consider first. According to Dr. Karyn Malinowski, an equine extension specialist at Rutgers University, many horses can continue to be active as they age. With that in mind, Malinowski said in a recent article on HorseChannel.com that one of the most important things is to change your older horse’s diet and lifestyle to help keep them active and healthy in their elder years. With that in mind, here are a few tips to help you learn how to give your senior horse the best quality of life. The first step in deciding the realistic goals and limitations for your horse is to have him or her evaluated by your veterinarian and farrier. Your vet can check your senior horse’s overall condition as well as his or her respiratory and musculoskeletal systems and then focus on the ears, eyes and mouth. Depending on the vet’s evaluation, you can make modifications to daily exercises that will allow your horse to continue being active. Next, your farrier can help you determine the best course of action from proper trimming and shoes for your horse to get him or her ready for the new exercise routine. According to HorseChannel.com, in mature horses, it is important to implement preventative shoeing and trimming to help minimize shock, aid flexion and extension, and alleviate lameness or unevenness of gait. When preparing your senior horse for a new exercise routine, it is also key to make sure he or she is on a proper diet. Just like in humans, a horse’s intestinal functions change as he or she gets older, meaning your horse needs a diet with higher-quality proteins, vitamin B and roughage. When choosing the food you give your mature horse, consider the ingredients. You do not want to give your horse food that will make him or her gain too much weight, as the extra pounds can cause stress on your horse’s legs, joints and cardiovascular system. Speak to your vet about the best food choice for your mature horse. After you’ve had your horse checked out and put on a proper diet, you can start conditioning to help him or her maintain body tone. First, make a checklist to help you track your horse’s progress. Your trainer can help advise you on the proper workout needed for your horse. The goal is to slowly build your horse back up without going too quickly. You want to be aware of any pain your horse might be in to avoid unnecessary stress. Eventually, you will see a vibrant difference in your horse’s activity levels – you will just need patience and perseverance. 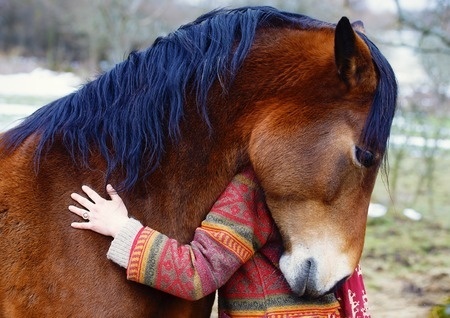 The final tip to treat your senior horse to the best quality of life is to use massage once a week. Including this as part of your conditioning program will help your horse’s muscles and circulation, preventing knots and aches that can slow an elder equine. Like all the steps to rejuvenate your senior horse, you should be aware of your horse’s reaction during massage. If your horse is in pain, you do not want to continue to massage that spot and should consider these areas when conditioning next. In addition to these tips, it is also important to house your senior horse in a secure, safe place where he or she can rest after a day of conditioning. Deer Creek Structures offers small or large horse barns for sale online to keep your mature horse comfortable. Call 254-546-2276 to speak with one of our representatives who can help find the best horse barn for you!